The col du Petit Saint-Bernard was cycled ‘according to the road book’ on Saturday, but I chose the alternative, i.e. both ends instead of combining it with a climb to Tigne. The main road (N60) leading to Bourg-Saint-Maurice is not the best of experiences, but as it is (mostly) ‘false flat’, it offers a good warm up. 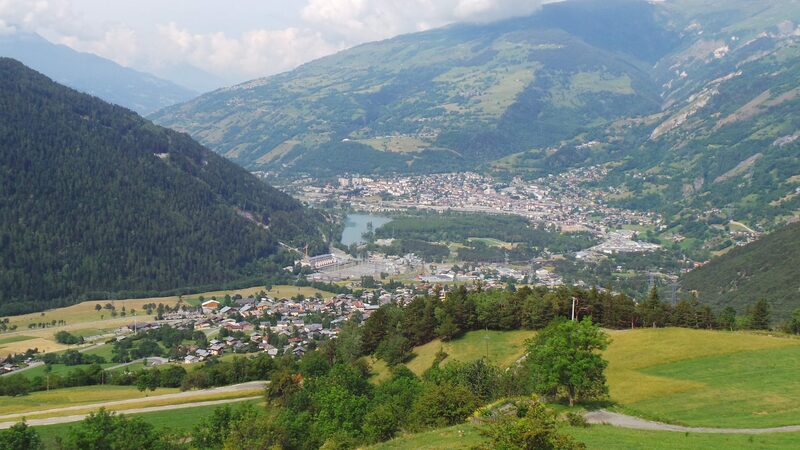 The ascend from Bourg-Saint-Maurice is not too difficult and not very busy either. The landscape and views alternate between open and ‘tree covered’, which amounts to an overall nice experience. I had a bite at the summit – surprisingly, the “refuge” was open, which is not always the case this time of year, as I found out on other cols. After that, I descended towards La Thuile on the Italian side of the pass. In La Thuile I turned back and climbed the col again. This side of the Bernard is slightly more challenging, but also quiet compared to more frequently traveled cols, offering some nice views and hairpin sections. And also from this end, after leaving Magnard, the road got more open and windy. Trip: 108.8 km / 2,539 m elevation gain (Garmin).